Camp Magic . . . . There is always a conflict of emotions for me at the closing of each summer at camp. I’m, of course, happy to return to my home in Nebraska and see all of the familiar faces and places that I’ve missed over the past several weeks. 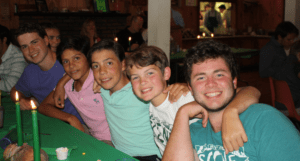 However, there is an intense feeling of sadness that comes over me as well when I bid farewell to the campers, counselors and staff who have over the summer become like family to me. 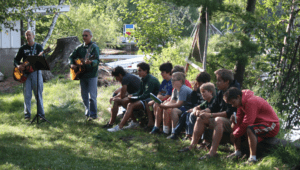 Some of us refer to this sadness as the “camp blues.” These blues tend to fade as we get back into our routines and spend time catching up with friends and family back home. And then, at some point during the winter season, when I least expect it, these camp blues seem to creep into my mind again. I become nostalgic and think back to all of the people I spent time with at camp last summer and the amazing magic that happened while we were there. You know the magic about which I’m talking, and no, I’m not referring to Harlow and his fantabulous magic tricks (although that is pretty darn incredible)!! It’s the magic that happens because of the incredible group of people who come together in the summer to embark upon adventures that can’t be had anywhere else on the planet. So please forgive me for a moment if I reflect upon a little “snip-it” of last summer and the incredible scene that was created in 2017!!! “Well, it’s parents’ weekend here at Towering Pines which means we have reached the end of camp for the Summer of 2017. 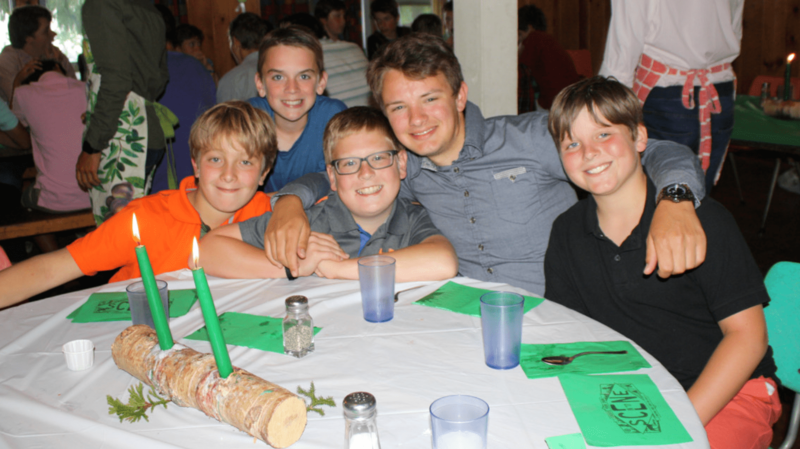 Another indicator of camp’s end was the traditional TP banquet which was held last night. 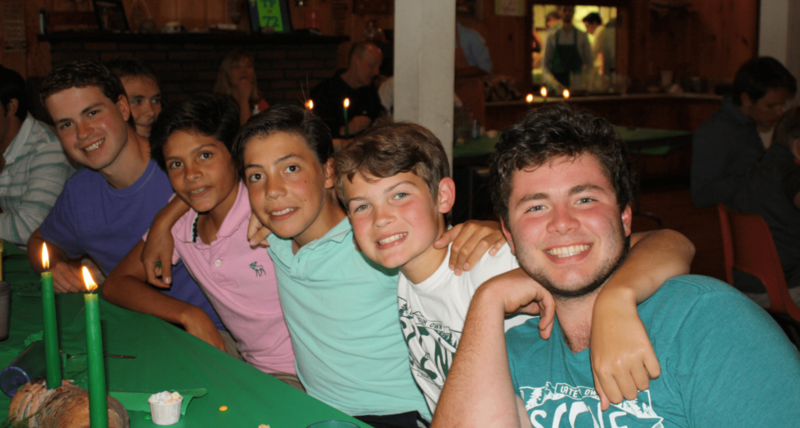 Boys and counselors alike cleaned up, snazzed up and even combed their hair (a rather rare event at TP unless you are a CIT!!). 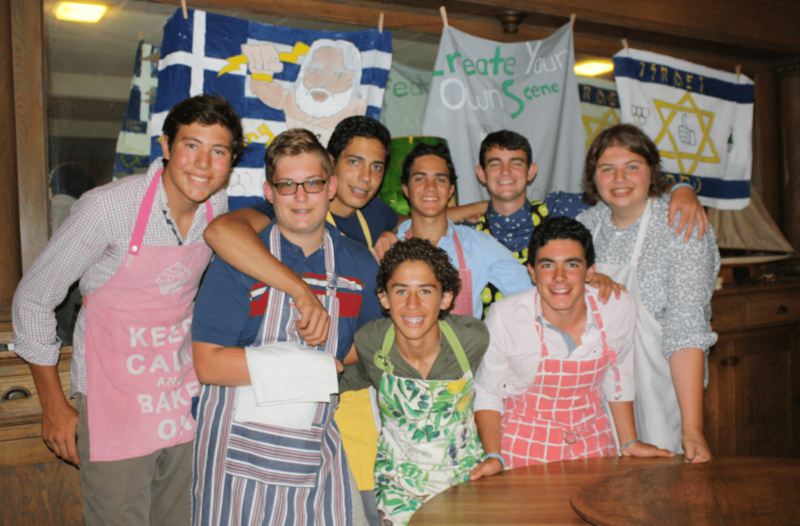 The kitchen cooked a delightful meal including a full smorgasbord of food with brownie ice cream sundaes for dessert. The CIT’s were in rare form showing their best manners and did a superb job of waiting on all of the campers and staff as well as serving them. There was much celebrating, toasting and reminiscing to be had!! I must say that I felt a great surge of emotion as I watched this group of campers, counselors and staff commemorate the summer. It truly amazed me to see a group of young boys and men come together and bond over shared experiences, challenges and accomplishments. Not everyone can be “camper of the year” in each activity area, and so it elated me to see the other campers cheer for those who did and sincerely congratulate them. It dawned on me that this is another reason why I love camp. Not everyone can be good at everything, and there is a lot of pressure in society for kids to be “the best” in everything that they do. At camp there is a huge focus on doing YOUR best rather than being THE best. There are a plethora of opportunities for each camper to find his place as well as to find the gifts and talents that lie within him. Sometimes in order to find these talents, it takes some soul searching. Thankfully, camp is a place where kids can do this. 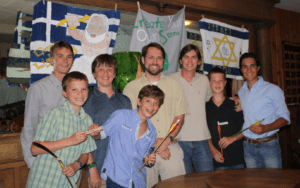 The counselors and staff try to find the right balance of encouragement and support so that campers feel safe enough to spread their wings and try new things. In addition, there is the encouragement from the other campers which can make all of the difference in the world.